ITM is a Cape Town based web design company. All ITM websites are developed in responsive web design, are mobile friendly and almost all are built on DNN Website Design Software, the #1websitedesign Content Management System for business websites. Responsive web design is now an essential aspect of any website, it allows your website to resize automatically across all devices and browsers optimising your user experience and interaction. Google and other search engines have increasingly placed emphasis on the mobile friendly aspects of website design. ITM is one of the foremost proponents of responsive website design in Cape Town. A responsive design website works properly on any device, obviating the need to manage different websites or apps or mobile websites. With responsive web design, your website can literally become the mobile app for your business. In addition you can choose which website components you want to deploy for mobile. Although we have developed websites in other content management systems such as WordPress, Drupal and Joomla, DNN Software is by far a superior CMS. 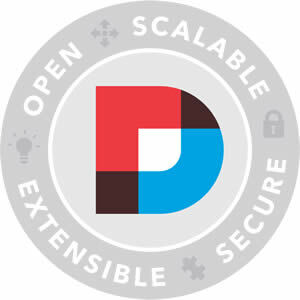 DNN web design software formerly known as DotNetNuke is the leading website content management system (CMS) available. This software generates easy-to-manage pages and updates websites with a professional look and feel. The community version is open-source. ITM only charges for implementation. It is for this reason that ITM website design prices are so competitive. We provide enormous value with every website we develop. Please compare what we offer on our web design packages with any other provider. We make it our business to understand your business first, then we implement the website design and technology to give you the best online solution. At ITM we pride ourselves on our ability to capture your website concept and deliver a website design tailored to your business’s digital marketing needs. We offer our clients cost-effective website design packages, designed according to your budget. Once we complete your website we then provide you with free training and user guide assistance enabling you to maintain and update your own website independently. We provide support for all our websites. Information Technology Media has over 20 years experience in the website design industry. ITM is a certified digital marketing, website design and development company in Cape Town. For more information on our website design prices & packages and for a no obligation quote contact us.